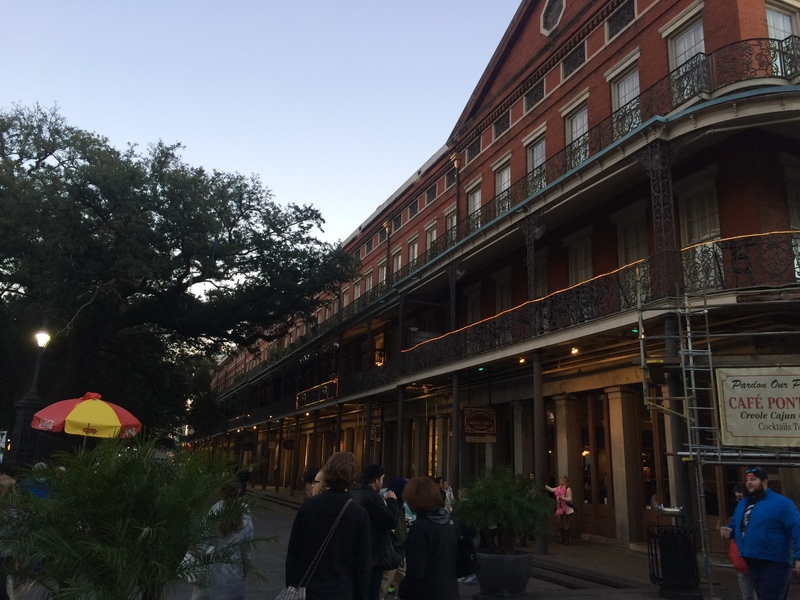 N’awlins … for the third time. So I went to New Orleans for the third time in a year and a half last weekend, and I loved every second of it (as usual). I don’t know what it is about NOLA, but it definitely has my heart. 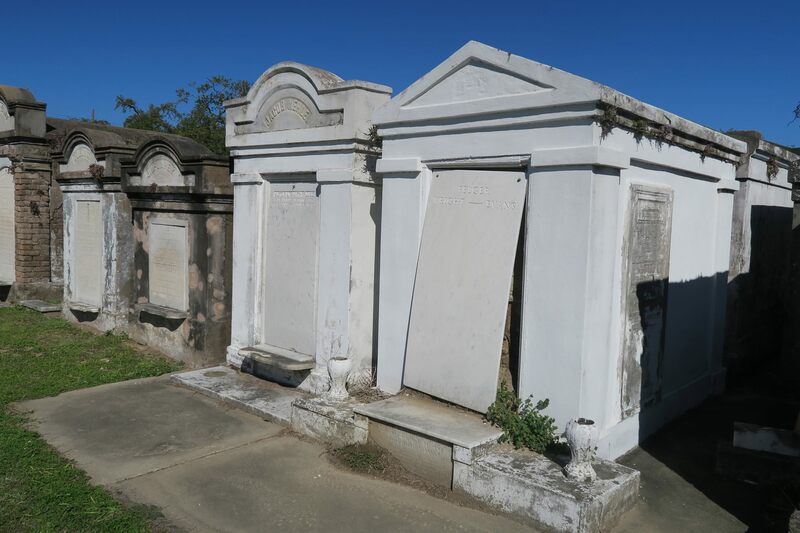 It may have to do with all the beignets, live music, Garden District homes, swamp creatures, spooky history, Bourbon Street, and overall just fun culture and people! 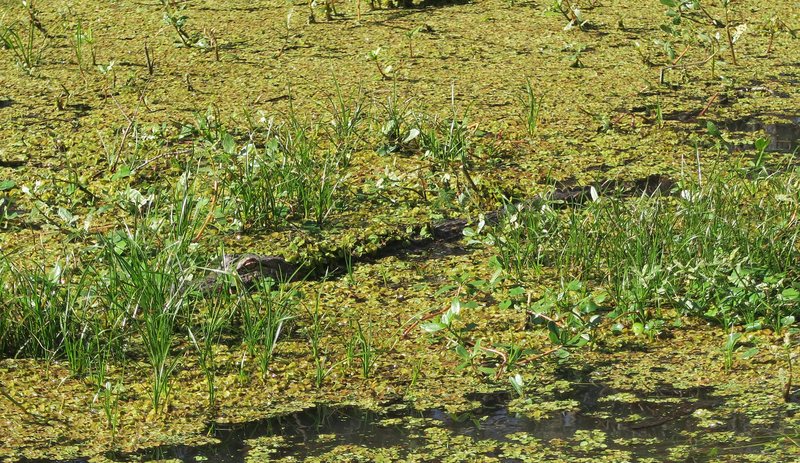 The one thing about this trip that was different from the others … I FINALLY got to do a swamp tour! The last two times I went, only a couple of us wanted to go and we couldn’t ever get everyone on board. 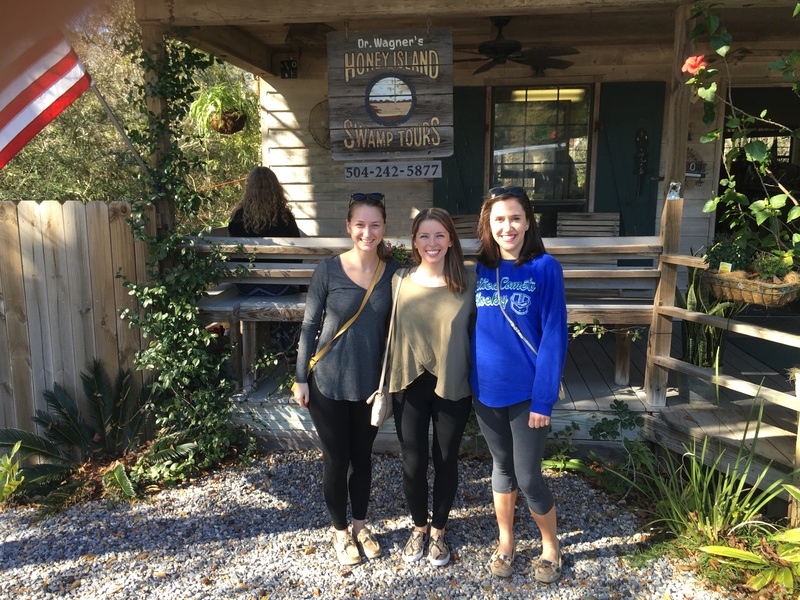 Luckily this time I went with my two good friends, Megan and Jocelyn, and they were totally on board with the swamp tour. 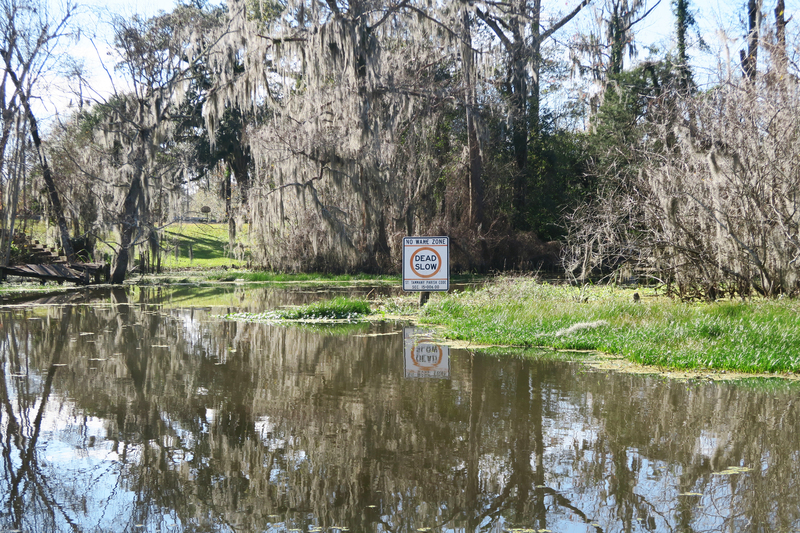 Unfortunately we did not get to see many alligators due to the off-season, but we did see some interesting sites. We saw a baby alligator, which was neat, but the most hilarious and exciting part was seeing a random goat. 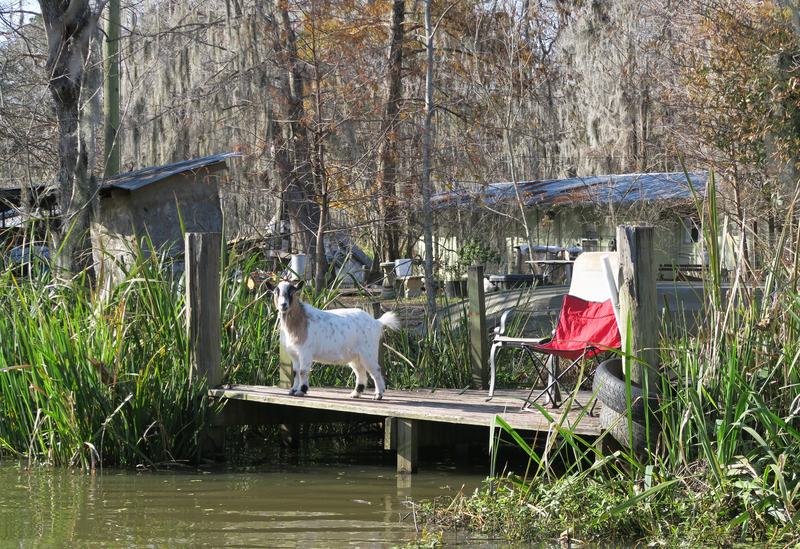 As the guide steered us into the swamp village, where people can only get to their homes by boat, we saw one dock that had a goat on it. We moved in closer and saw the house actually had land. The goat was so confused and it was the cutest moment of the swamp tour to say the least. The scene got even more hilarious when a chicken and a peacock showed up. It is a pretty interesting choice of pets for a family living on a swamp. While this blog is dedicated to mostly weather occurrences, I have decided to add more travel to it. I think it is important to share experiences and inspire others to travel and see the world. 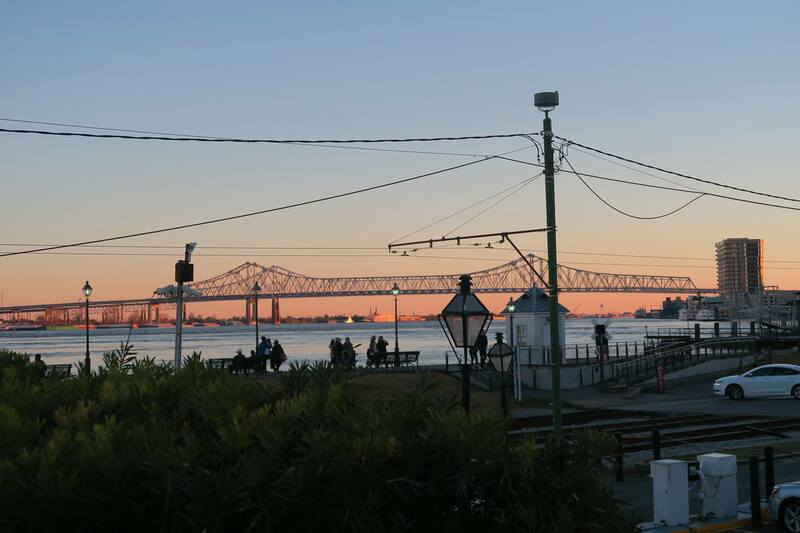 Only two significant weather events happened while we were in New Orleans: 1) a random downpour right before our ghost tour (we had to buy ponchos) and 2) a beautiful sunset, which you can see it below along with some other great photos from the trip! 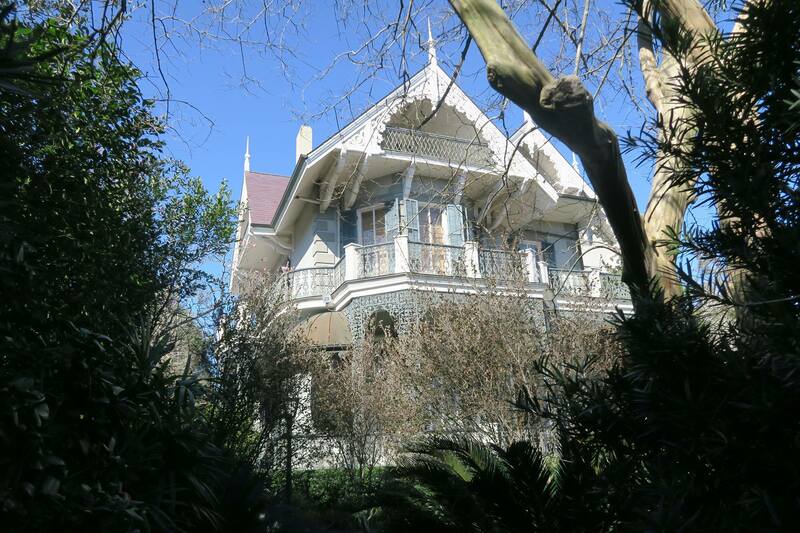 This is Sandra Bullock’s house. 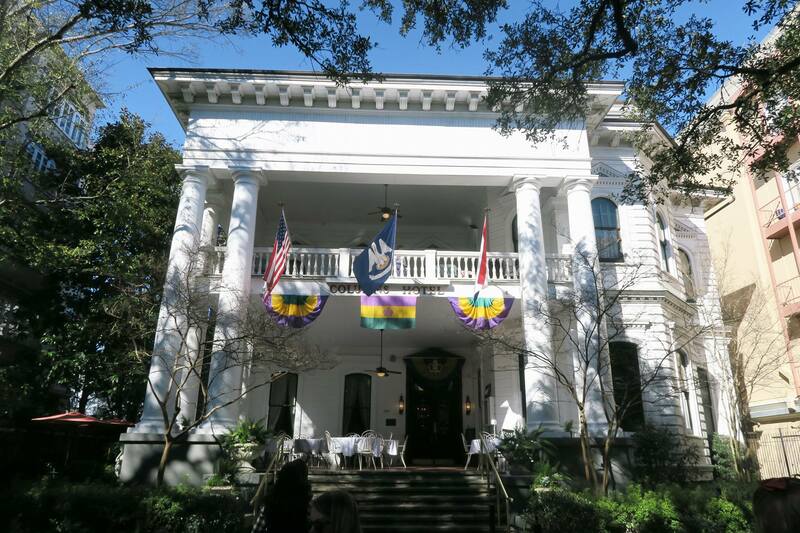 The Columns Hotel is located in the Garden District. We found a goat on the swamp tour. 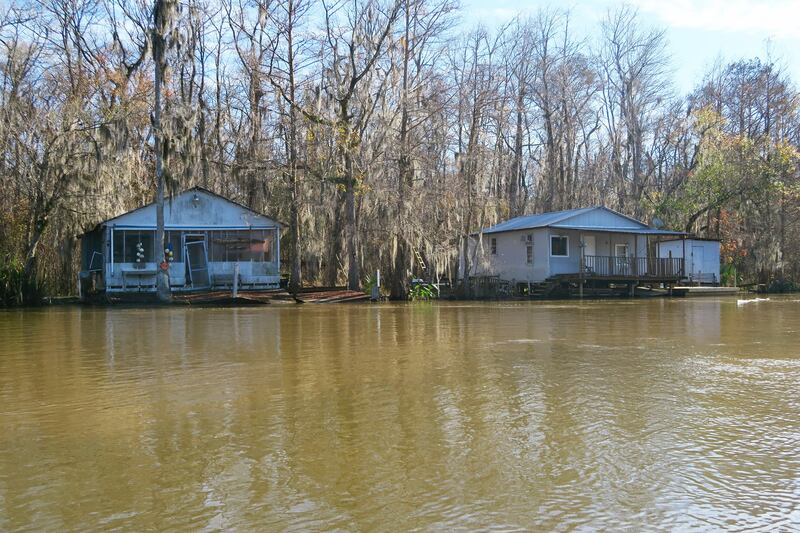 Houses you can only get to by boat. We saw a lot of these on the Honey Island Swamp Tour in Slidell. 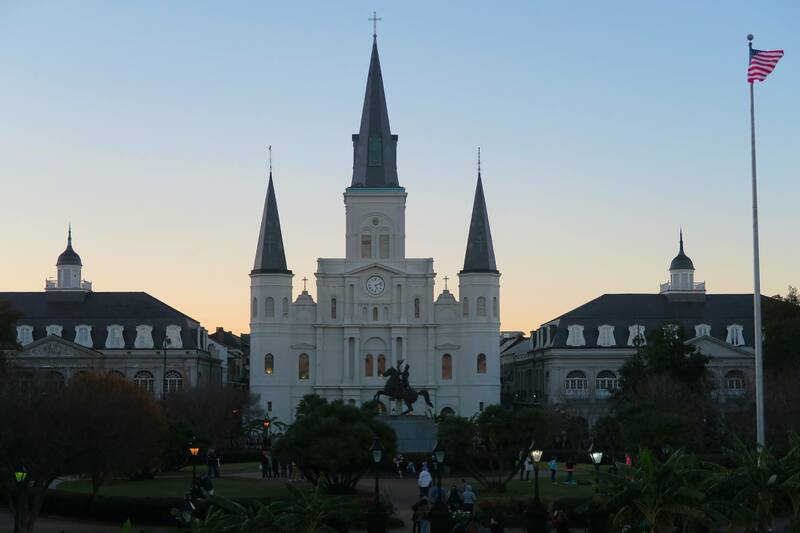 I love this view of Jackson Square and the St. Louis Cathedral! We were so excited about the swamp tour! 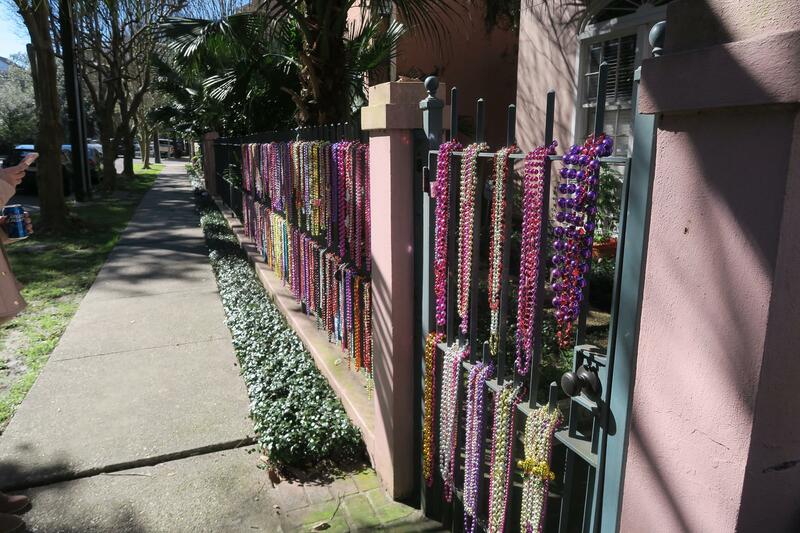 All of the houses in the Garden District were ready for Mardi Gras! 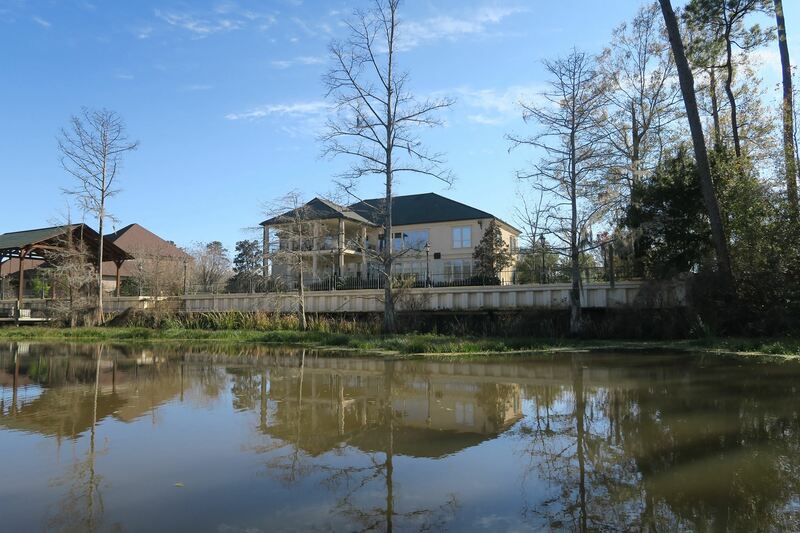 One of the many mansions on the swamp in Slidell. A lovely sunset over the Mississippi! 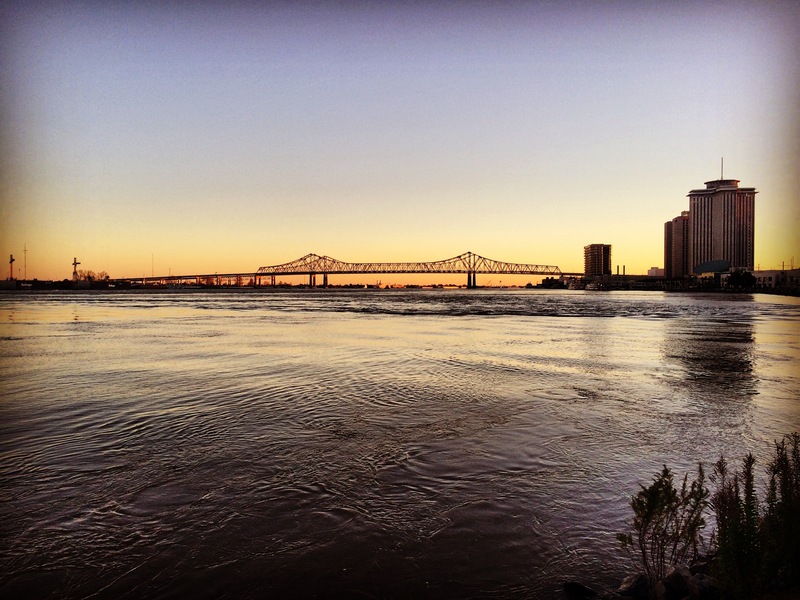 We were lucky to witness a beautiful sunset over the Mississippi. I love the Honey Island swamp tour scenery! 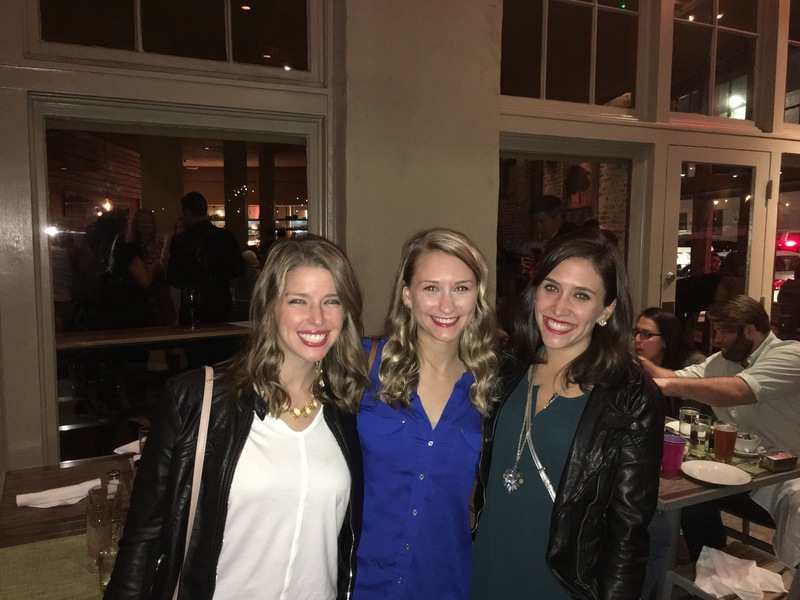 This was right after we ate a lot of spicy macaroni and cheese at Cochon! The extreme heat conditions during the summer months can be detrimental to your pets. It is important to take caution when taking your pets outside, bringing them for a ride in the car, leaving them outside while you go shopping, and all of the other instances where your pets leave the house. Even if your pets do not leave the house on hot days, it is still highly suggested that you ensure your pet is hydrated at all times and has ample access to air conditioning. I’ve heard several sad stories from this week alone of pets suffering heat strokes and passing away from the hot conditions. Please be mindful of your pets and remember to keep them safe! Right now in Fayetteville, North Carolina it is 102 degrees. It has been between 96 and 102 degrees each day this week so far, and it may cool down a bit in the upcoming days, but only to about 92 degrees. The humidity does not help us either! While some people enjoy this weather and make it out to be a fun day at the pool or the beach, most of us get very tired and miserable from this weather (I’m definitely one of the tired and miserable ones). I have a hard time being outside when it is THAT hot. I know my three-year-old dog, Scrappy (a lab/pit mix), is not a fan of this weather either. We take one lap around the block and he is ready to go back inside and hang out on the cool tile floor all day. My 11-year-old foster dog, Eli, is also not a fan of the heat. He has LOTS of fur and is only 14 lbs. During this weather we all take shorter walks and spend less time outside. We also drink plenty of water! 1) KEEP YOUR PET HYDRATED. I cannot express enough how vital this is. If your pet is not hydrated it will increase his or her risk of suffering a heat stroke. 2) PROVIDE THE PROPER AIR AND SHADE. Do NOT leave your pet outside on hot and humid days. Even if your dog has shade, or even a dog house, he or she can still suffer a heat stroke (sometimes these areas can get hotter). It is best to leave your pet inside and provide air conditioning and fans to help keep your pet(s) cool. Just leaving a fan on will not do justice; it is best to have air circulating throughout the house. 3) DON’T BRING YOUR DOGS IN THE CAR. Too many times people bring their pet(s) to daycare or to a friend’s house and forget they are in the car. I just heard of a story yesterday where a woman was coming home from grocery shopping and her dogs jumped in the car as she was unloading her purchases. She didn’t notice they jumped in the car and unfortunately both of them suffered a heat stroke. Even when it is 70 degrees outside, it is still dangerous to leave your pet in the car. The temperatures rise VERY quickly in automobiles. During these times, do not even think about putting your pet in the car. You may think “I could never forget my dog is in the car” – but unfortunately this happens to the best of animal lovers quite often. 4) HUMIDITY MAKES THE HEAT WORSE. Always check the humidity, too. When it is very humid outside it can make it hard for your pet to breathe and get the proper ventilation in his or her body. Their body temperatures will increase rapidly. 5) LIMIT OUTDOOR/EXERCISE ACTIVITY. It is best to keep your pets inside and limit their exercise during the hot times. Making them too tired and dehydrated, again, increases their risk of suffering a heat stroke. How do you treat a pet when he or she suffers a heat stroke? Take him/her directly to a veterinarian. Move your pet into the shade or an air-conditioned area. Apply ice packs or cold towels to her head, neck, and chest or run cool (not cold) water over her. Let her drink small amounts of cool water or lick ice cubes (Source: The Humane Society of the United States). I hope you read this and take it seriously. Pets are family, too – they deserve to have the same care as us humans! For more tips on keeping your pet safe in the heat, check out this article from The Humane Society of the United States.